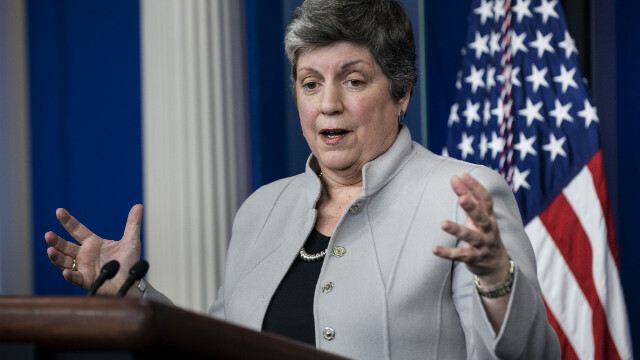 Homeland Security Secretary Janet Napolitano will be nominated to be president of the University of California system. Washington (CNN) - Homeland Security Secretary Janet Napolitano announced Friday she is resigning and will be nominated to become president of the University of California system. In an e-mail to associates, Napolitano said she will leave the Department of Homeland Security in September. While her nomination must be approved by the university's board of regents at a meeting next week, Napolitano sounded confident of the outcome. "Departing a job and community you love is never easy, but I am passionate about educating the next generation of leaders and the University of California is like no other institution in affording such an opportunity," her e-mail said. She graduated from the University of Santa Clara in California in 1979 as its first female valedictorian. Napolitano, 55, was confirmed as the nation's third homeland security secretary and the first woman to hold the post the day after President Barack Obama took office in 2009. (CNN) - For a second straight day, President Barack Obama touted proposals from his State of the Union address at a campaign-style event outside of Washington, this time visiting a Georgia preschool where youngsters still on winter break showed up to mimic a regular day. Obama's visit to the College Heights Early Childhood Learning Center, in the city of Decatur just outside Atlanta, followed his call in Tuesday night's speech to Congress for investments in high-quality early childhood education programs. The president spent time in a classroom where he hugged some students - who told him they saw him on television - and praised the teachers he said were giving their students a boost into the educational system. "This isn't baby-sitting," he said. Children who take prekindergarten classes are more likely to read at their grade level, graduate from high school and hold a job down the road - but fewer than 30% of 4-year-olds are enrolled in prekindergarten programs like those at College Heights, he said. "Hope is found in what works. This works. We know it works," he said. "If you are looking for a good bang for your educational buck, this is it right here. That's why, even in times of tight budgets, states like Georgia and Oklahoma have worked to make a preschool slot available for nearly every parent who is looking for one for their child."